There is a saying in Estonia that summarizes the national real estate dream: every Estonian would like to have a private house in the city center in the middle of greenness and by the water. The garage-house in Lubja street in Tartu fulfills that ambition. It is locaten on the banks of river Emajõgi, 10 minutes bicycle ride away from the central square and in the middle of the green gap, a place that is kind of a void in the urban fabric and greenery has had years to grow. Jaak from ÖÖD is an easy-going person. He wants to go to the woods, but not to carry hiking gear or spend the night in a standard cabin, which is inevitably wet and cold and there’s a good chance of meeting other hikers. at least as comfortable as your home”. This is by far the most asked question when it comes to prefab houses. The answer is not a short one. Most Manufacturers will not be able to quote a house on the spot and will dodge the question with "it depends". Well, that doesn't really answer the question... does it? Unless you are ready to settle for a catalog house (not really custom-made), you'll have to wait... and we are talking about weeks! To put an end to the problem of pricing a prefabricated custom-made home, we partnered up with "Creatomus", an innovative Startup leading the way of mass customization of factory-made homes. To answer the question "how much does a prefab house cost" we developed a house price calculator. In an era where the Greenhouse Effect and global warming has become rampant enough to be mainstream news, it’s time for us to smell the coffee – especially in the design and construction world. Housing is one of the most widely popular types of construction. Studies show that even in Britain, 300,000 new homes were being built since the 1970’s, and the statistics have only increased in recent decades. Uncontrolled development is slowly but surely taking over, and coupled with global warming, the effects are quite alarming. It is our responsibility to build our homes in an eco-friendly and sustainable manner. Here are 6 ways you can make your home as environmentally friendly and ‘green’ as possible. When building a prefabricated home there is a precise process one should follow. Too often we see people trying to figure out a way to get their project off the ground without really making any progress. From the idea of building a house to the successful construction, there is a precise series of steps to be taken. 27 steps, to be exact. To spare you the trouble of figuring out the right way to do it (and to save you tons of time and money in the process), we put together a clear Prefab Building Checklist that will guide you through the 27 steps. Cross-Laminated Timber is a massive wood product with excellent structural capabilities. In the past decade, we have seen this product booming and in the past two years, it stated to replace concrete for the construction of high-rise buildings. We believe CLT deserves more attention... so we had a talk with Juha Virta, CEO and Owner at "Oy CrossLam Kuhmo" in Finland. How are Prefab Homes Built? There is no doubt about it: a prefabricated house is better than a house built on-site. That is a pretty bold statement... isn't it? To understand why we need to have a look at the entire process of building a prefab house. 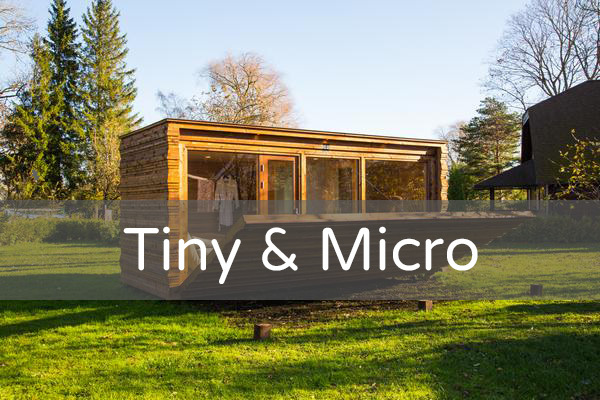 Either you are considering to build your own house or you are just curious, this article will guide you through the various stages of how prefab homes are built. Avrame is a young Company specializing in a-frame houses. 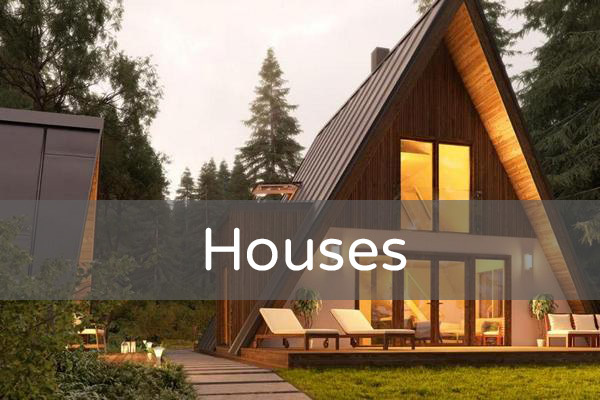 Avrame houses look stunning and this little Estonia-based Company is making a lot of noise these days. After creating an appealing and hyper-efficient architectural design, Avrame now launched a digital product to help its Customers to bootstrap the construction of their dream house. The question everyone is asking is: is that Starter Package worth the price? Pre-cut systems are the most basic prefabricated option available... but are they really a viable option? We met with Indrek Kuldkepp, Owner and CEO of Avrame a-frame houses and we had a chat about pre-cut systems. Would you live in a glass house? Established in 2016, Welement Factory is brand new and it is unlike any factory you'd expect to see in a Baltic Country. This strikes you as soon as you get to its entrance. On the factory floor, Welement sports cutting-edge technology in a quasi-sterile environment... but on the outside, it looks like a beautiful modern home. How Do They Ship a Prefabricated House?